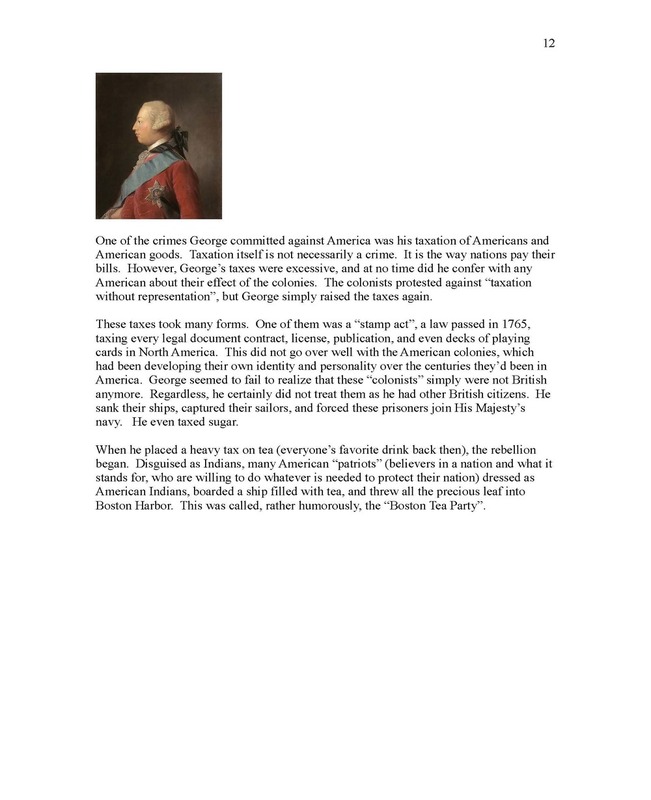 Explores American history, and the Revolution! Explores in detail the documents that define America! A true "Owner's Manual" for Americans of all ages! 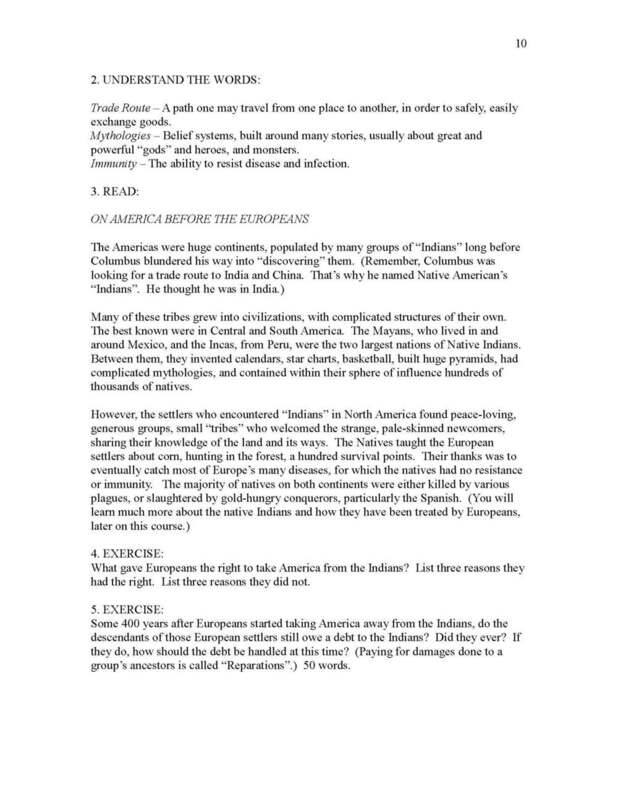 Explores the plight of American natives in history! THIS COURSE IS WRITTEN TO STAND ALONE FOR THE STUDENT WHO ONLY WISHES TO STUDY AMERICAN CIVICS. It can also be skipped in the line-up of Step 4 History courses for those who do not wish to study American history. For serious history students, ages 11-adult. This course is not subtitled An Owner's Manual for the American Citizen for nothing! What was the idea behind America that drove its people to go to war with England for their independence? 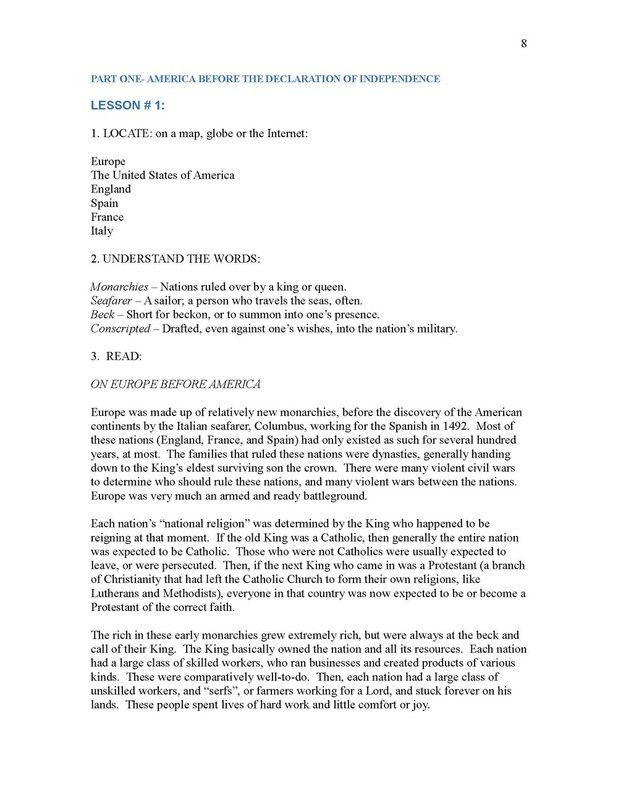 Break down word for word the important documents that made America, such as the Declaration of Independence and the Constitution, and find out what they mean in history and to us, today. Our nation's founding ideas and rules have rarely been made more germane and involving than in this course, and the American student (or adult) who completes it will never look at their nation in an indifferent or ineffective way again. The student intently studies and "rewrites" the Declaration of Independence and the Paris Treaty. He studies several Federalist Papers, written by John Adams, Alexander Hamilton and John Jay, the most significant argument we possess for the acceptance of our form of government. The Constitution is broken down article by article, and each article is considered by the student for its current and historical effectiveness. 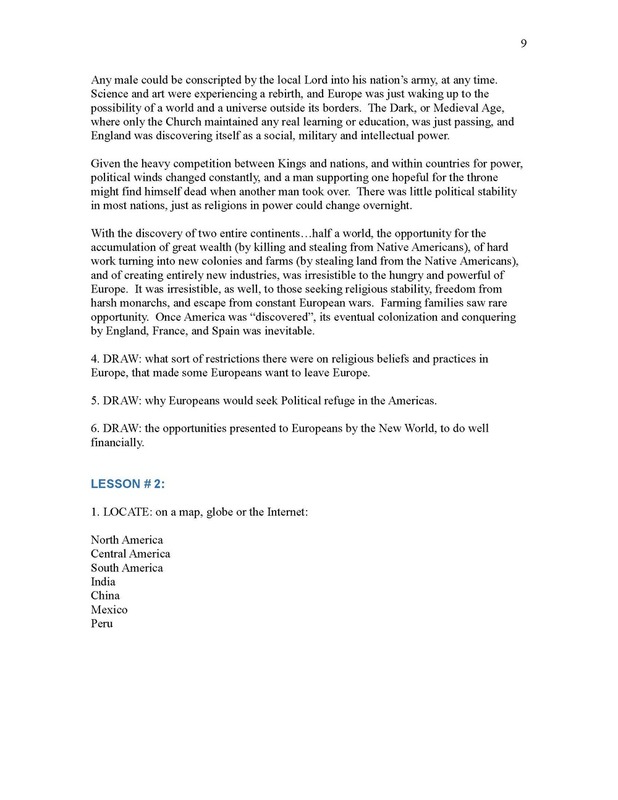 Included in this course, the student is provided a simple history of America, and the revolution that set us apart from England. All American holidays and their history are studied, and the usefulness and current appropriateness of each holiday’s celebration is determined by the student. The same is done with the Pledge of Allegiance. This course, with the exception of a few films (not provided by STEPS , but found easily on the Internet), comes complete. The course will take about a semester, and will result in a student who understands American history. the American form of government, how it should work, how it does work, how it fails, and how it might be corrected. 98 lesson plans and ten tests and answer guides.